To say Target successfully moved past its epic data break is an understatement. While the high-profile hack did cost the discount retailer $252 million and compel its CEO to step down, Target is beating out major competitors as well as committing to e-commerce to the tune of multi-billion dollar investments even amid this year's "bathroom boycott." Last holiday season, Target ousted Walmart in many categories including an increase in online sales (34 percent versus 22 percent) and overall sales (1.9 percent vs. 0.6 percent). Even so, both retailers have Amazon to contend with and those numbers missed the mark for many of the goals Target set for itself, so the retailer is doubling down. Target announced it plans to spend $1.8 billion this year on e-commerce and $2.5 billion next year on supply chain and technology (no doubt bolstering pickup/delivery flexibility and improving inventory management). As it stands today though, Target is setting some pretty high standards for what a retailer should offer both online and in-store customers. Let's take a look. Of the experiences that shoppers really want from retailers, curated experiences is one of the most in demand (e.g., products handpicked for them based on past purchases and preference). In fact, Cue Connect recently reported that 33 percent of consumers want a personal shopper for everything from groceries to clothing, and they want it delivered to their house. 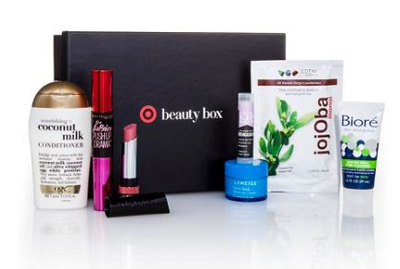 Target is happy to oblige, taking on Birchbox (a curated beauty box delivered monthly) with Target Beauty Box. Each cost $10 a month, but Target shoppers have the ability to add the Beauty Box to registries and receive more pieces in each box than Birchbox (eight versus five). A lot can be learned from shoppers as they browse a site, interact with emails and make purchases, and Target is capitalizing on what it knows about its consumers by delivering personalized discounts to them - most notably through its Cartwheel app (which offers in-store coupons that are scanned at checkout on the person's mobile device). 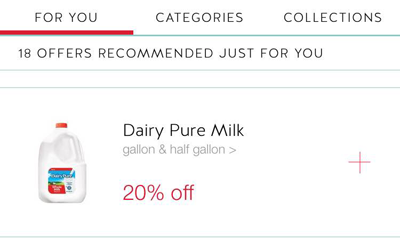 Target learns from customer behavior, demographics and more in order to encourage them to use Cartwheel and increase their average order value (AOV) by offering discounts they may not be able to refuse since they are items typically purchased by that individual or ones that fit their persona. Customers want to save on the items they buy monthly (e.g., diapers, paper towels, ink, etc. ), and Target has embraced the trend toward subscription commerce by enabling shoppers to receive automatic replenishment of the items they have specified. Customers save a little each month, while Target is "guaranteeing" repeat revenue for itself. It's up to Target, however, to ensure that deliveries are on time, product quality meets expectations, billing is accurate and that it projects churn in order to incentivize shoppers to stay if they show signs of leaving. This offering can help Target combat similar services provided by Amazon through Prime. More than half of Target.com's visitors come from mobile devices, and mobile shoppers are known to make local conversions quickly (often within 24 hours). These savvy shoppers want flexible fulfillment offers to get their purchases quickly (whether it's two-day delivery, buy online and pick up in store, etc.). Target helps shoppers with a variety of options, including free delivery if they are picking up in store, using their Red Card (credit or debit) or buying more than $25 worth or items online. 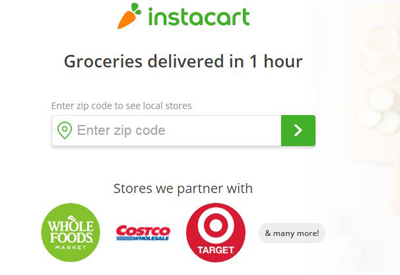 Target is also making a claim in the two-hour window space, with its partnership with Instacart (available in select cities), which offers deliveries of groceries, beauty items, etc., within two hours (similar to Amazon Fresh). What was called an "online garage sale" last year turned into a major event for Amazon this year, with Prime Day raking in 60 percent more orders this year compared to last. 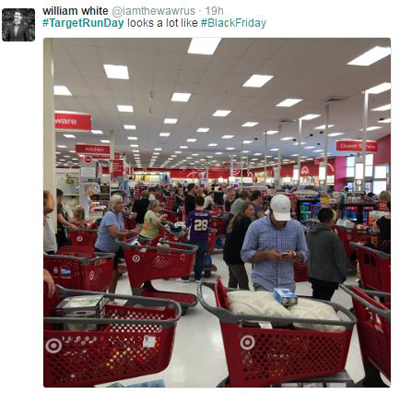 While not widely talked about before the actual day, Target offered a "Target Run Day" revealing everything in-store and online was 10 percent off (on top of Red Card savings of five percent). Shoppers taking to Twitter reported stores looked like Black Friday - no doubt a bump before the holidays kick off in a couple months. There is not too much historical data yet on Prime Day or Target Run Day yet, but it will be interesting to watch their impact on holiday sales. Target.com shoppers are typically about 44 years old, with a median household income of $91,000 and visit the mobile site about three times a month. They are an active, tech savvy group with high demands for their shopping experiences not just with Target but everywhere. Understanding the e-commerce expectations being set by the Targets of the world, will go a long way to understand the investments that need to be made by smaller brands (e.g., personalization, curation, fulfillment, etc. ).